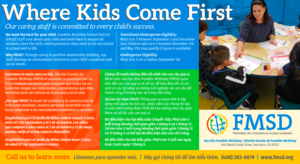 Do you have a student or do you know a student that will be entering TK or Kinder in August? Please plan on joining us for the TK and Kinder Open House. 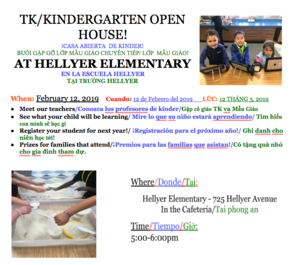 This event is for *new* TK/K families to Hellyer. The event will be on Tuesday, February 12th. Please spread the word. Do you have a student or do you know a student that will be entering TK or Kinder in August? Please plan on joining us for the TK and Kinder Open House. 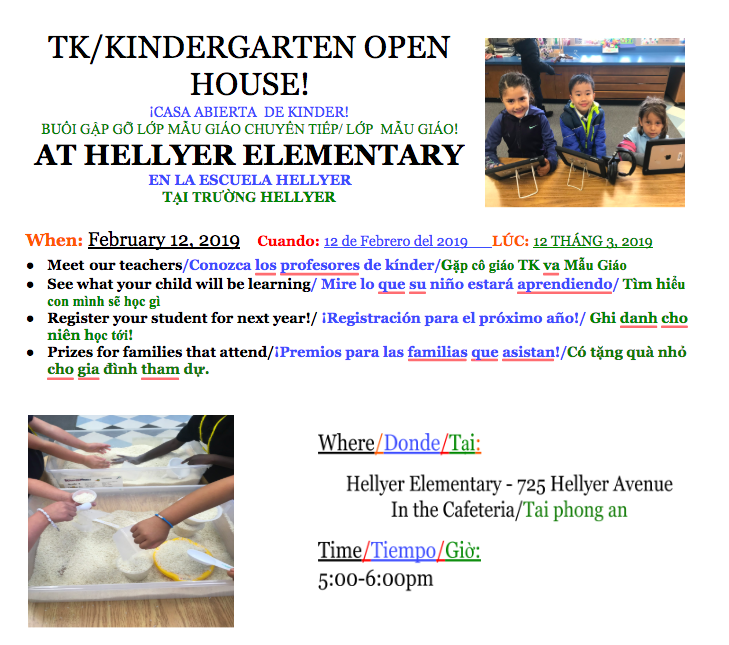 This event is for new TK/K families to Hellyer. The event will be on Tuesday, February 12th. Please spread the word to friends and family members.